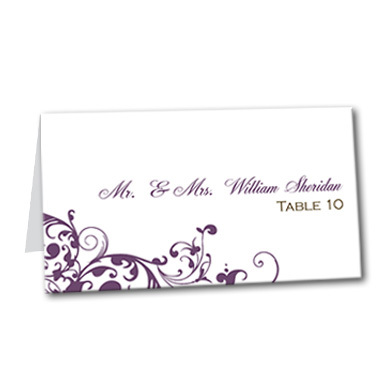 The Royal Swirls table cards will make a stately impression at your wedding reception. Swirls abound in a sweeping, delicate pattern that captures the eye. Pair with our additional wedding invitations and save the dates, and customize with your choice of wedding font, and complete the appeal. This design bodes well for both black tie and more casual weddings. Royal Swirls Table Card For the best experience, we recommend personalizing your stationery on a desktop computer.